Patagonia always had a reputation for making durable, low-impact outdoor apparel, but the California label is taking its sustainable ethos one step further with the launch of Common Threads, an initiative that seeks to help consumers, well, consume less. 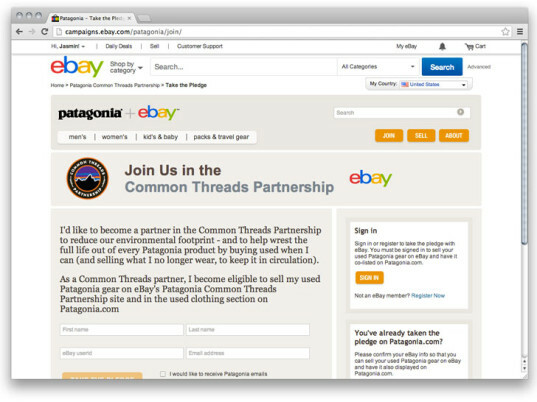 Together with online-auction website eBay, Patagonia created a virtual swap meet on Wednesday for buying and selling used Patagonia gear—an unexpected retail model that’s a first for a major brand. The underlying message, one that underscores one of eBay’s core commandments, is clear: The greenest product is the one that already exists. Not only will Patagonia be putting used clothes back into circulation, but it also won’t profit from any of the transactions. The program is groundbreaking for several reasons. Not only will Patagonia be putting used clothes back into circulation, which could cannibalize new sales, but it also won’t profit from any of the transactions. Patagonia, Chouinard adds, is the first company to ask its customers to take a formal pledge to reduce consumption and keep products out of the landfill or incinerator. If this is the next bandwagon, we can’t wait to see who climbs aboard next. This is Marketing only! Otherwise shareholders would not be happy. Lets see how long this lasts. Who is going to pay for the initiative and run the process if their is no profit? And if it cannabalises sales. Thats worse because it is how good ideas fail. It is ridiculous in that regard. I question the true values behind this campaign. Bandwagon indeed. By The By I'm all for reusing and donate all my old samples and old personal clothing to local homeless shelters. Just in case there is the usual social liberal kick back. Patagonia always had a reputation for making durable, low-impact outdoor apparel, but the California label is taking its sustainable ethos one step further with the launch of Common Threads, an initiative that seeks to help consumers, well, consume less. 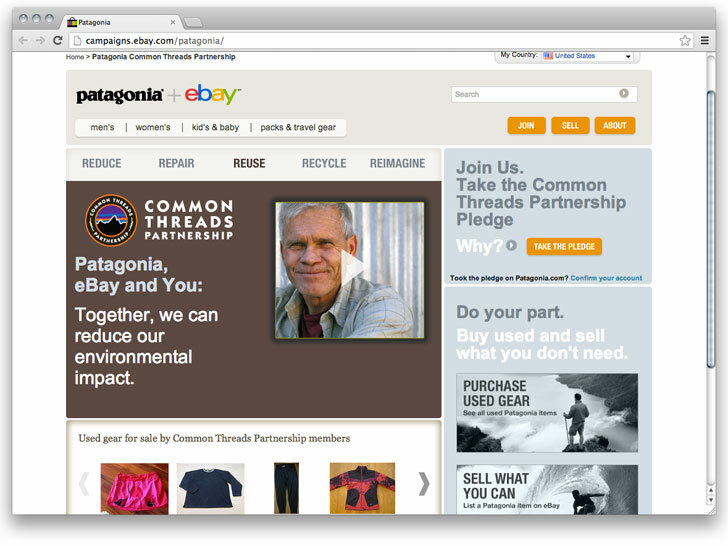 Together with online-auction website eBay, Patagonia created a virtual swap meet on Wednesday for buying and selling used Patagonia gear�an unexpected retail model that's a first for a major brand. The underlying message, one that underscores one of eBay's core commandments, is clear: The greenest product is the one that already exists.